Red Dead Redemption was hands down one of the best games of the last console generation. 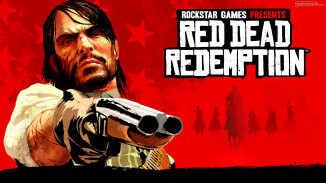 RDR was both a critical darling and a runaway hit with gamers. Since the start of the new console generation, many fans, eager to jump back in the saddle and explore the vast open frontier, have been asking for a sequel or at the very least an HD remaster of the original. And as of this writing, Red Dead Redemption remains one of the most asked for games to be made available on Xbox One via Backwards Compatibility. 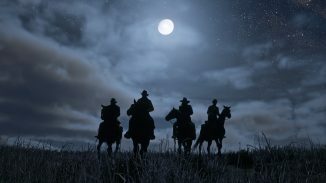 In typical Rockstar fashion it’s been thin pickings when it comes to new information on a possible Red Dead Redemption sequel but given the level of success and acclaim that the first game garnered it seems inevitable that gamers will once again be strapping on the six shooters and entering a world of bandits and outlaws. 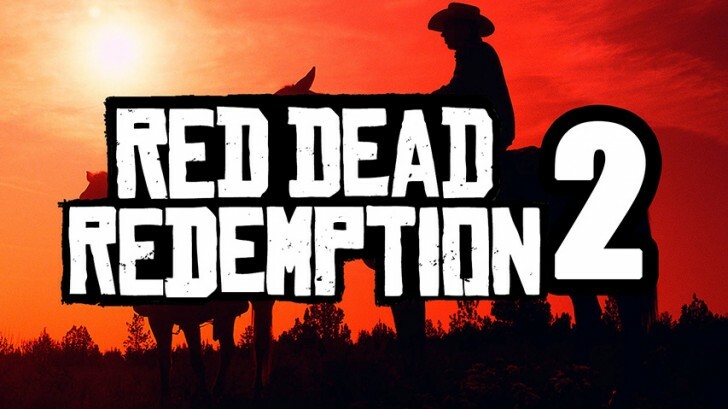 Indeed, the past couple of weeks have seen a number of promising details and rumors come to light, such as a former Rockstar artist listing Read Dead Redemption 2 on his resume and Take 2 claiming that they will be at E3 2016 “in a big way.” With the rumor mill heating up and pointing more and more towards the inevitable announcement of RDR 2 we thought we’d take this time to look at 5 things we want to see in Read Dead Redemption 2. The multiplayer in Read Dead Redemption was surprisingly fun and was honestly a bit ahead of it’s time. Giving players a large open world to explore with their friends, allowing them to form gangs and posses and wreak havoc across the frontier. It’s been obvious since the release of GT5 and GTA Online that Rockstar has ambitious plans for multiplayer. The most ambitious of which was the inclusion of Heists in GTA 5’s online mode. Ignoring the myriad of technical problems that hindered the launch of GTA Online and still cause problems to this day, Heists are wildly fun and some of the best asymmetrical multiplayer experiences out there. That’s why we think heists in RDR 2 would be amazing. Imagine forming a gang of outlaws with your friends and leaping from your horses onto a fast moving train, working your way across the boxcars to rob the passengers and the safe in the back. Or imagine a jail break, where you must set up and execute the perfect plan to break your comrades out of the town’s prison. 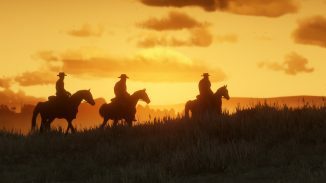 Assuming Rockstar can remedy the technical woes that plagued GTA Online, Read Dead Redemption 2 could feature some of the best multiplayer gaming anywhere. There’s a moment in the original Red Dead Redemption, at the start of the game’s 2nd Act, when you cross the border into Mexico, and as night is falling you are asked to ride your horse across the top of high bluff in search of camp. As you ride across this vast empty landscape, taking in the gorgeous setting around you, seemingly from out of nowhere a guitar starts strumming and is soon met by the whispery vocals of Jose Gonzales. The song is ‘Far Away’ by Swedish folk singer Jose Gonzales and it’s a moment in the game that elevates it from being just really good to being really great. We’d love to see more of these touches in the sequel. Rockstar has always had a great eye for the cinematic and that moment in RDR is one of their finest. And while we don’t want them to over do it, we hope that they add more of these types of musical flourishes and production value to really push the sequel towards greatness. John Marston was a compelling character in his own right, even if he was reduced to an amorale errand boy for large portions of the game, but we would love to see Rockstar let us play as multiple characters as they did in GTA 5. The 3 character system wasn’t always a success in GTA 5 but it did open up some truly unique gameplay and we would love to see them expand and improve on it in Read Dead Redemption 2. Being able to play as different members of an outlaw gang or even as both a Lawman and the Outlaw he’s hunting would be fantastic and would open the world up to tell even more of the wide number of stories available in a frontier setting. The original Red Dead Redemption wasn’t short on weapons, from six shooters to bolt action rifles to the occasional gatling gun but we would love to see the inclusion of some more unique weaponry. Of course the type of weapons available will be largely dependent on the time period the game is set in but it would be fun to play with some non-firearm weaponry. We want a bow and arrow is what it gets down to. And with that particular weapon’s popularity in recent games we see no reason why it shouldn’t be included in a Red Dead Redemption sequel. Red Dead Redemption featured it’s own dueling mechanic, allowing you to engage in a dusty street battle of reflexes with any character you happened to piss off. But it wasn’t implemented as well as it could be, often swinging wildly from too easy to impossible and at the end was usually more of a hassle than anything else. We would love to see Rockstar refine the dueling experience and even make it a more central part of the gameplay with a better risk reward system. We’ve all seen The Quick and the Dead (have we? ), how awesome would it be to capture some of that intensity in a duel in the game? Those are just 5 of the things that we want to see in Red Dead Redemption 2. What did we miss? What would you want to see in the sequel? Let us know.